Length 8-9 mm with a black head and thorax and reddish brown wing cases. 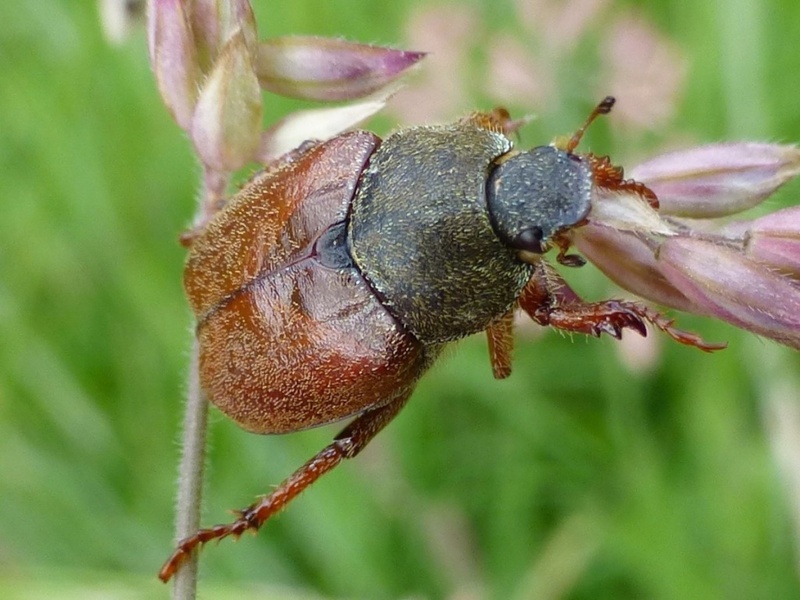 It is usually seen in meadows and along hedgerows and woodland edges. 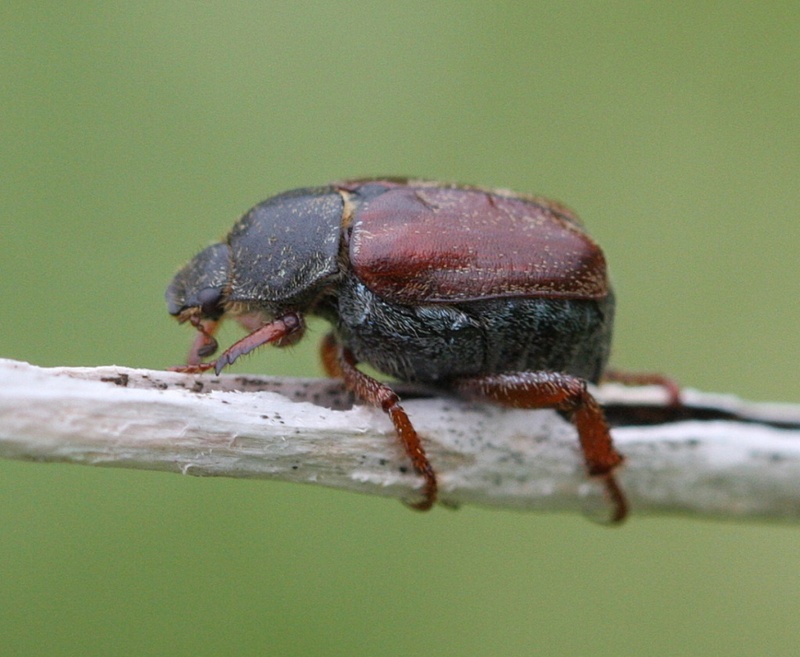 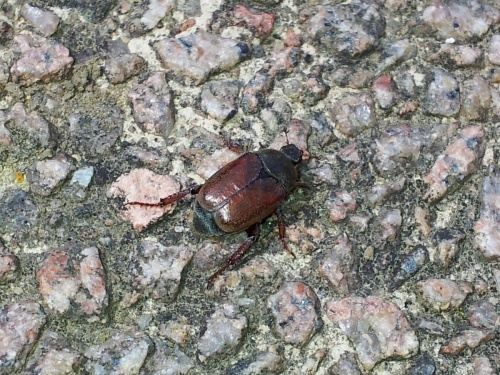 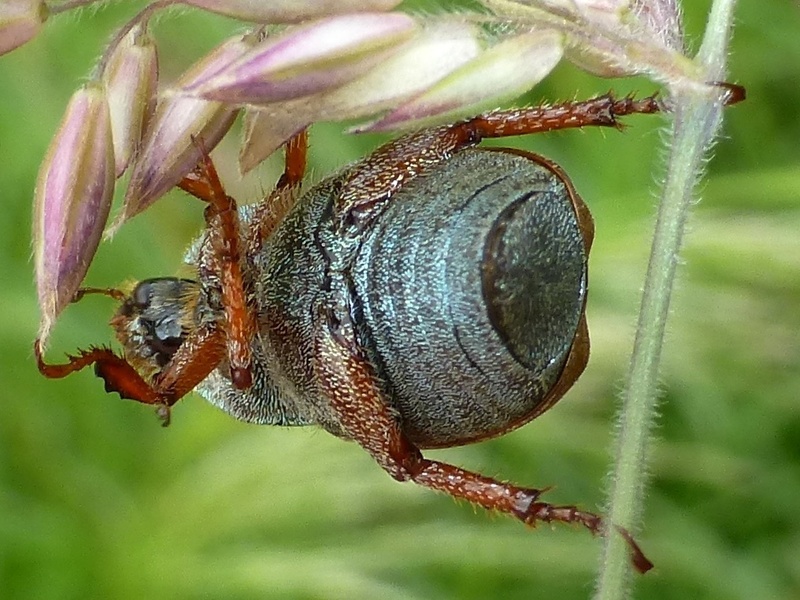 The adult beetle can be seen from June to August. 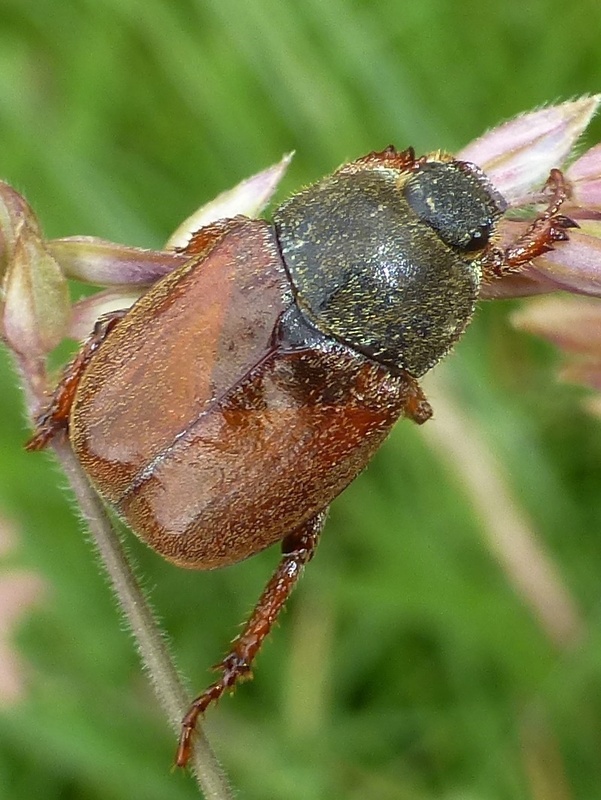 The beetles are active during the day, particularly in June and early July when they seeking a mate. Its larvae feed on a wide range of plant species, including grass roots, and can be a problem in sports turf and lawns. It is quite uncommon and mainly found in the west of England and Wales.